Ebooks have one big problem. They usually look awfully boring. But now, it is easy to convert your ebook manuscript into a format that will make it much more attractive for ebook buyers. Draft2digital has been extremely innovative in so many areas, and now for self-publishing authors, it has made publishing a professionally formatted ebook a very simple process. Even better, its an absolutely free service. As I have written before, the fact that end matter, other titles and email sign-ups are all automatically included when publishing with Draft2digital makes it the go-to platform for authors who wish to open-publish. 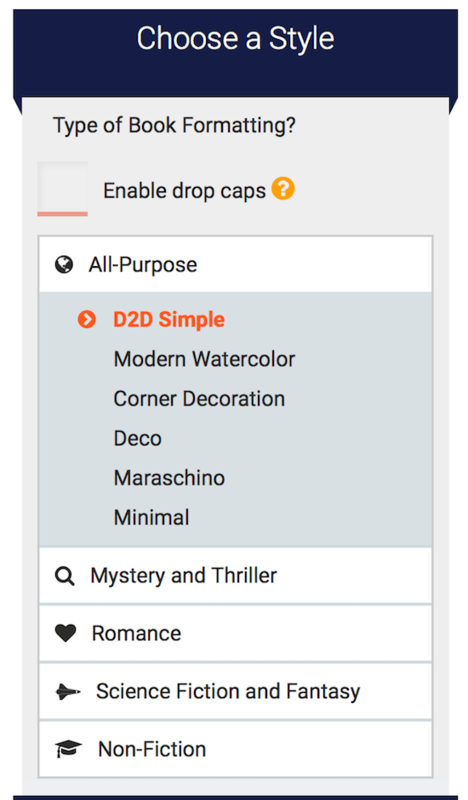 But now that D2D has added its new typography feature, one of my long-held self-publishing wishes has been fulfilled. 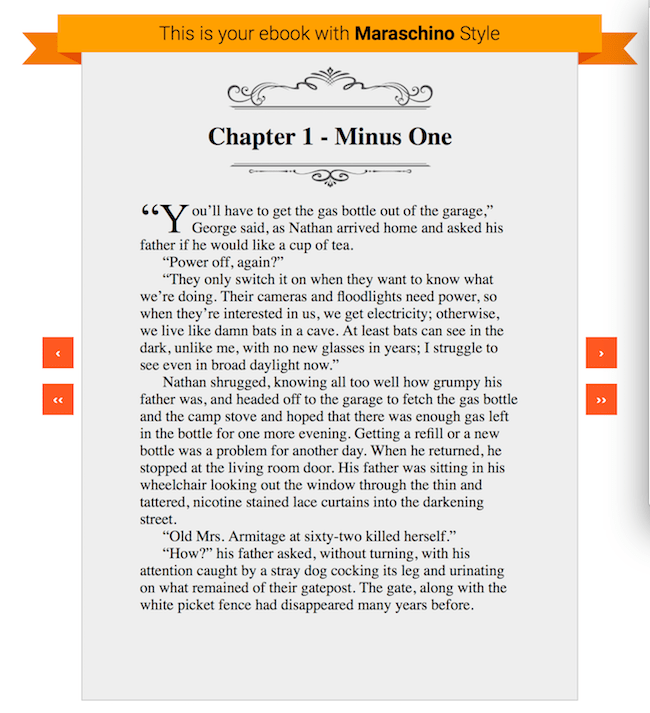 Beautiful typography can now be easily added to ebooks. The process is so simple that it is a wonder it hasn’t been done before. Login to your Draft2digital dashboard, and go to “My Books”. 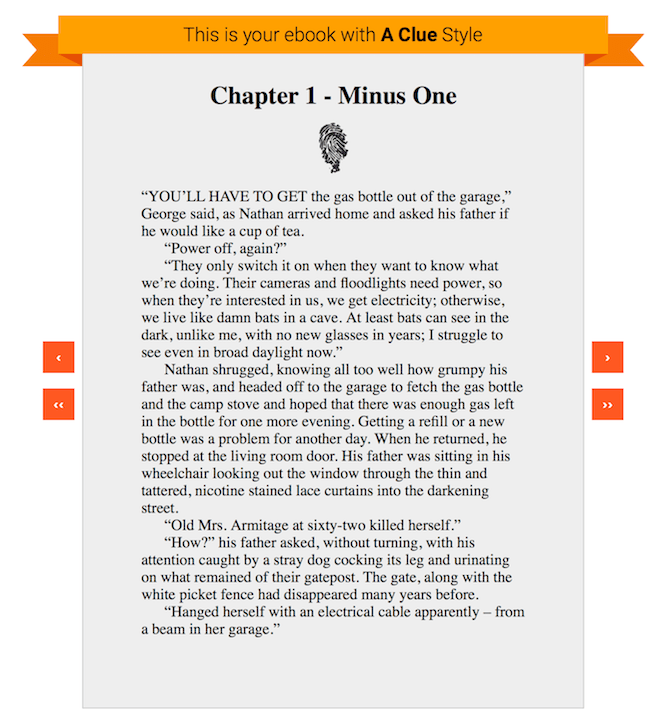 Select one of your books, and then hover over the “Edit Book” link and then select “Preview Layout”. 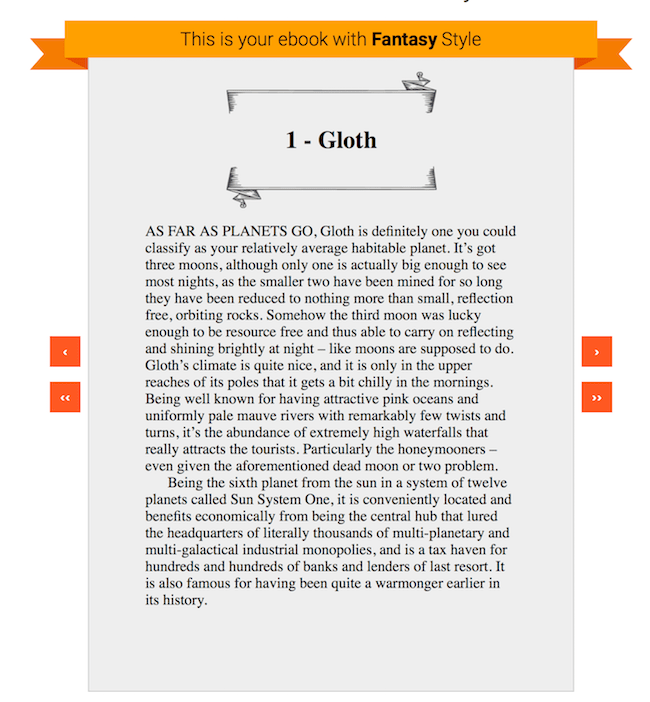 Now you will see your ebook text and the style selector pictured below, on the right of your screen. As you can see from the image above, there is a range of formatting styles to choose from, and it is simply a matter of clicking on each style and a preview of your new text appears instantly. My original text formatting appears first in the preview screen, and as you can see, it’s plain, ordinary, boring and well, like millions of other ebooks, rather unappealing. But then I applied the new magic that Draft2digital now offers. I tried the Maraschino style with Drop Caps first, and the result is below. Wow!! With just a couple of clicks, the text is transformed instantly into something much more readable and inviting. I then tried a mystery format on another title and loved the all-caps first phrase. Lastly, I chose a new style for one of my science fiction titles and gave it a whole new look. Draft2digital is bringing so much innovation to ebook and paperback publishing that is fast becoming the leader in quality online ebook aggregation. While it’s a no-brainer that Amazon KDP and Kindle are indispensable when it comes to gaining traction and ebook sales, Draft2digital is making the option of open-publishing more and more viable. The only question I have in my mind right now is when will Amazon KDP offer the facility to add beautiful typography and classy formatting to make Kindle ebooks more attractive to readers. For the time being, it’s Draft2digital that is making the running in this regard. One of the biggest disappointments I have with Kindle is their inability to convey typography that can be created just by using eBook software. Time and again they screw up art, drop caps and even line spacing that shows fine on the Kindle Previewer. If some of the minor distributors such as D2D could draw sales away from Kindle, we might see changes, but Amazon remains intractable, the bully on the block. I’ve been down that road, Phillip. 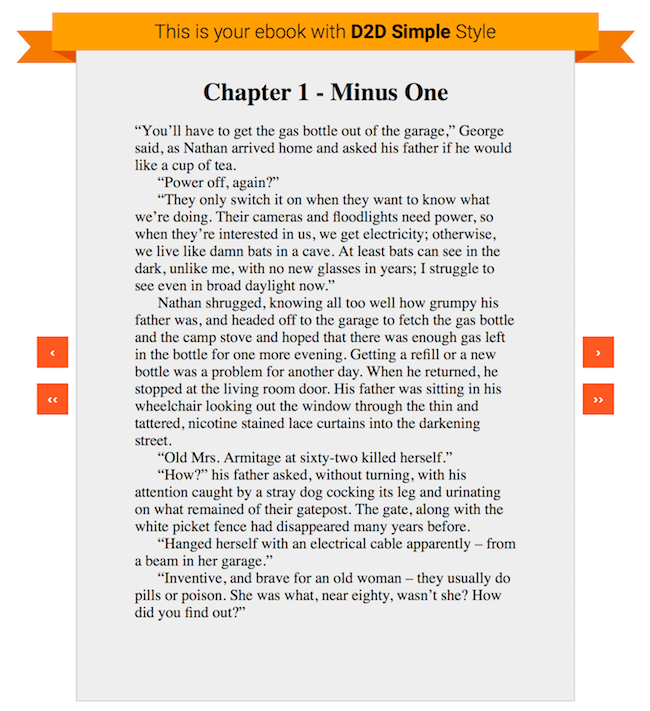 I have tried everything to make my Kindle ebooks look better. But KDP fights is all the way. One can hope.